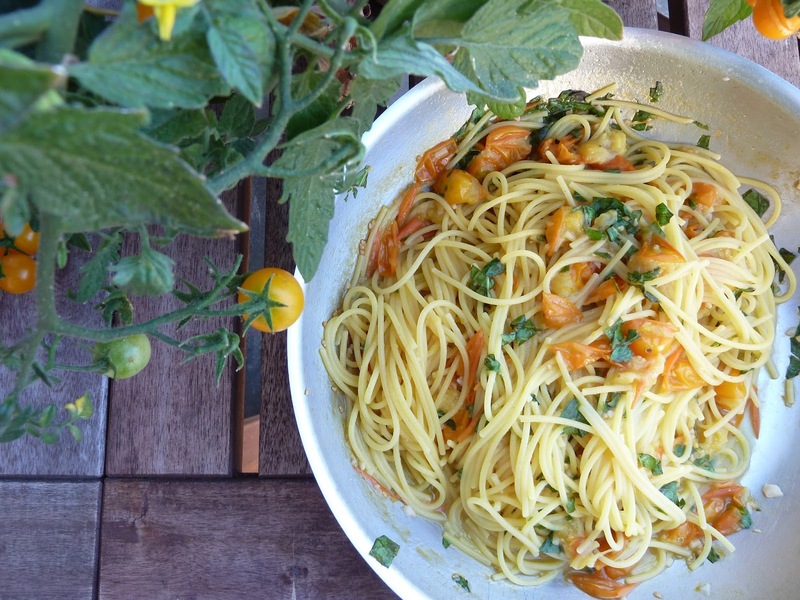 One of the best things about summer eating is tomatoes. I love them, fresh off the vine, sprinkled with a bit of salt and eaten as-is. 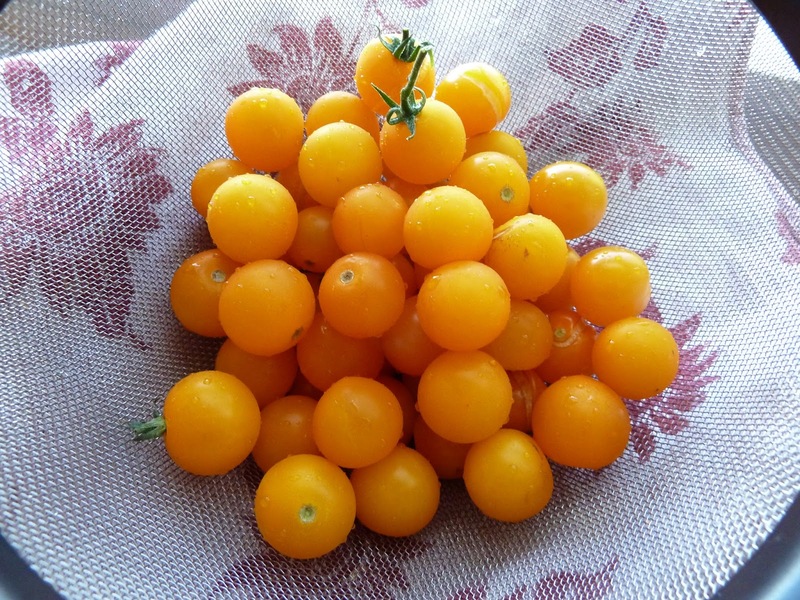 At the beginning of the summer, I purchased a very unassuming looking cherry tomato plant that was just sprouting beautiful orange/yellow cherry tomatoes. Turns out, this little plant can pump out large (almost impossible to keep up with) quantities of the most amazingly sweet little gems. So, when I found myself with a bowl full, I decided to whip up this simple pasta dish. I used gluten-free quinoa spaghetti (which I find is the most like ‘regular’ spaghetti in texture and flavor). 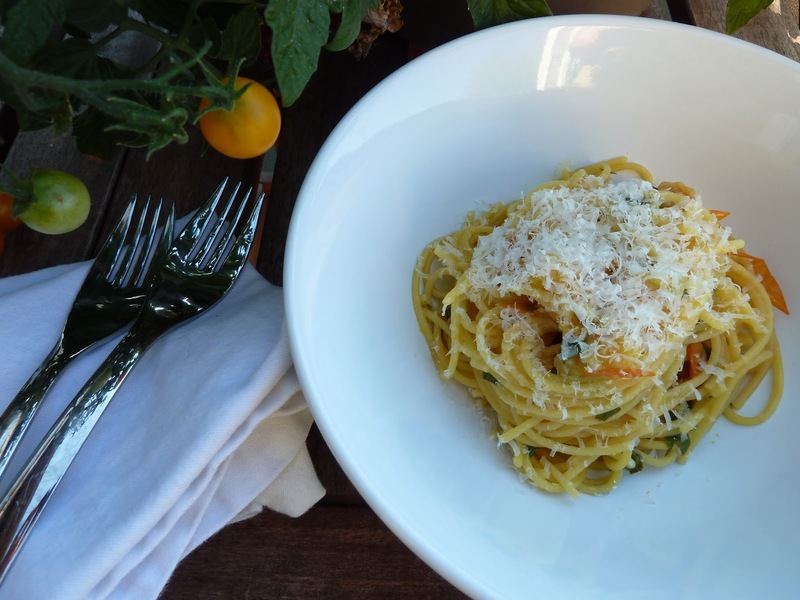 It’s super easy to whip up and is a perfect way to use beautiful fresh tomatoes. One of the things I love most about a dish like this is it’s versatility. You could easily toss in some shrimp and red pepper flakes to make it more fra diavolo (which, close as I can tell means ‘pretty damn spicy pasta sauce’ in Italian). You could also melt some anchovies and add a few capers for a salty-briny sauce or some crumbled turkey or chicken Italian sausage for old-school comfort food with a fresh and healthy twist. Just got a bag of these little guys from my CSA. Now I know what I am having for dinner tonight!